This site is all about pictures and videos that hopefully will inspire you to smile and have a great day! After all, there are so many incredible places to see in the world that we can travel to virtually. There are so many talented photographers who capture wonderful images worldwide. We hunt for photos that we enjoy as visually stunning eye candy and hope you will enjoy them too. So kick back, relax, and have fun. On this site, we love these pics! 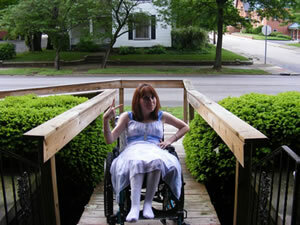 I’m a teenager with Spina Bifida and this is my first site. Sometimes my mom helps. She is the one who instilled in me a great love for nature, taking me out to experience adventures, even when it meant carrying me because places were inaccessible to me in my wheelchair. We have a great appreciation for fantastic photos. 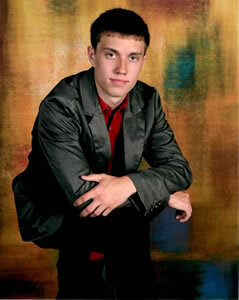 Please welcome Levi, brother to ‘AngelBear,’ as a new writer on Love These Pics. Levi is currently in high school. I love what you are doing here…Thank You. Please come visit with me at my family channel on Youtube; user name ‘FrenchConcrete’. powerful series, each image one more aweome that the eother..I felt the artist’s connection to the plught and irony.. awesome wirj,, thanj you for sharing this work with us. Thank you for the beautiful pictures. I am not a photographer but your pictures look very professional. Take care and God Bless. Good luck on your career. I think your website is very nice. Very beautiful pictures and a very nice layout also. Fabulous photography & choice of subjects. lovethesepics.com is on my Favorites list and I will visit often. Thanks for putting up & maintaining the site – I know how much work it can be. Incredible quality – best of luck! Lovely website! Thank you for including one of my photographs on your Canyon de Chelly page. Although photos can never do that magnificent place justice, your collection will help people get an idea of what it is like. Cheers! I’am stunned by yours photos! I loved it! I’m also passionate by hunting photos. Awesome – i love it and what a wonderful mom you have! keep it up! the passion for doing and experiencing what we love keeps us going, every day! Thanks for feeding my hunger for unusual pics! The image quality is superb and the topics are unique. I just find your site and spent long time browsing the pictures! great taste and a good eye.btw- what is your name? and a good word for your loving mother too! Great job puting together this site!!! I’ve spent hours looking at and downloading photos for the classes that I teach. I’m going to keep coming back for more. Have you thought about people submitting links or photos of specific places you are looking for? I found your site while looking for photos of Geirangerfjord, Norway, such a beautiful place and I think its a UNESCO site as well. The Photos are inspiring and fill my soul. Your story is also inspiring and fills my heart. Great high quality pictures and good information with them. Great design/idea for a website. This site has been favorited for a such a long time, but today I just wanted to let ya know everything is awesome and the pictures have been a pleasure to view. Thanks for the great work that you put into the website. Great high quality pictures and good information with them. Great design/idea for a website. You have a very elegant and efficient way about your site, young lady. I can say that. I’m older’n dirt. I very much appreciate how you arrange your subjects, how you credit the images and you have an eye, believe me. That said, I hope to borrow quite a few of your images, if I may. I do Pinterest. I would very much like to put together some boards that would include some of your images. I try to give credit where credit is due, and I will explicitly do so with your truly unique visions. By the way, I work for a state agency called the “Agency for Persons With Disabilities.” You’ve got a great story here, bit of a testament to the human spirit. BEST of luck to you. If you object to my use of your images, please let me know. I won’t go against your wishes. Your website is amazing, the selected pictures are gorgeous. I always enjoy new posts! Thank you very much for sharing. This is the most inspiring gallery of lovely photography I have seen; I spent a great deal of time enjoying the visit and will return again and again. You are truly amazing and inspirational to do what you have done for the love of the art. Your Mother deserves accolades as well. I appreciate your hard work — it is reflected in the fine result. THANK you for sharing. It is very, very special. I love your site. Great. Always waiting to the new post. Thank you for posting these inspirational photos. I have fallen in love with you because of your wonderful undertaking here. Of course, that might not mean too much because I am an 82 year old man. However, your beautiful website helped me find a picture I needed and I stayed to view the rest. What happend? half a year without any mew presentation? sad.